In a previous column I explained why any currency-issuing country, like the US, will never default on its obligations or run out of money with which to purchase goods and services priced in its own currency. Sovereign nations that are currency issuers have no solvency constraints, unlike currency users such as individuals, corporations, and government entities that don’t issue currency. This theory came into existence in 1971 when President Nixon eliminated the gold standard and allowed the government to print money at will. This was a paradigm shift in our monetary policy that’s gone largely unnoticed for decades by many educators, economists, and politicians. 1. The Federal Reserve works in partnership with the US Treasury to issue currency. All other units of government, private entities, and individuals are users of the currency. 2. 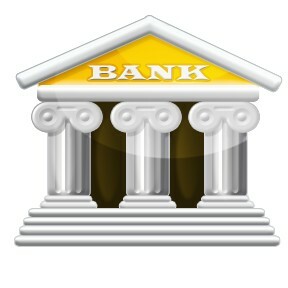 The government creates money by minting coins, printing cash, and issuing reserves. 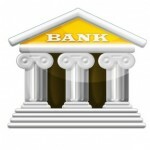 The private banking sector creates money by creating loans and bank deposits. 3. The Federal Government cannot “go broke.” It is inaccurate to compare it to households, companies, and local governments, which all are users of money and can go bankrupt. 4. The major constraint on currency issuers (sovereign governments like the US) is inflation. It behooves governments to manage the money supply prudently in order to avoid impoverishing their citizens through devaluing the currency. 5. Floating exchange rates between countries are a necessity to help maintain equilibrium and flexibility in the global economy. Nations that unduly inflate their currency suffer the consequences of devalued currency, shrinking purchasing power, and contracting lifestyles. 6. The debt of a sovereign currency issuer is default-free. The issuer can always meet debt obligations in the currency which it issues. 1. The US government was created by the people, for the people. “It exists to further the prosperity of the private sector—not to benefit at its expense.” Roche argues that when government becomes corrupt by obtaining too much power or issuing too much currency that results in high inflation, it then becomes susceptible to a revolt and dissolution. 2. Government’s role is to be actively involved in regulating and helping to build an infrastructure within which the private sector can generate economic growth. Roche views regulation as not only beneficial, but necessary to temper the inevitable irrationality that can disrupt markets. Still, he emphasizes that it is the private sector, not the public sector, which drives innovation, productivity, and economic growth. 3. Money, while a creation of law, must be accepted by the private sector while prudently regulated by the federal government, keeping in mind that the purpose of the regulation is to maximize private sector prosperity. Like me, you may need to re-read this a couple of times to begin to grasp the concepts. Once you throw off the outdated pre-1971 model of the monetary system, understanding the basics of MMR isn’t difficult. Knowing the basics of how our monetary system works will help all of us frame the important issues in the turmoil unfolding in Europe and in our own upcoming elections. Several of these “principles” are actually “assumptions” and they are flawed. 3.) Sovereign governments can and do go broke. It happens all the time. Many countries default after a war. Sometimes even if they win. Local governments go broke all the time. California essentially defaulted when they issued notes when it couldn’t pay its bills. 4.) Sometimes, it is in a sovereign government’s best interest to default or go broke. The biggest problem with monetary policy in the US today is that it is a part of the trend in this country to abandon the “rule of law” and place decision making “authority” in the hands of a few. Concentration of “authority” results in corruption. People always say this time will be different due to regulation, transparency, etc. A great theory that only works for a short time. The health care and housing industries have also both taken big steps away from the “rule of law’ to “authority”. Milton Freidman suggested a rule to avoid this “authority” problem by increasing the money supply by three percent per year, good times or bad. He admitted that this would only transfer the control of the economy to the few administrators that measured money supply. Money supply is impossible to measure. Milton Freidman also admitted that the current solution might be the best available option we have today. As an example, the gold standard puts control of the money supply in the hand of countries that discover and mine gold. Dan, A sovereign government that is an issuer of currency (owns a printing press) cannot go involuntarily bankrupt. Of course, any nation, state, or municipality that is a user of currency (like Greece, California, or Stockton) can involuntarily go bankrupt. Reading the first column in this series will give you some additional context and information that will help explain my opening comments in this post. “The US government … exists to further the prosperity of the private sector.” It would be more correct to say that it exists , first, to protect and defend the liberties and rights of its people and secondarily, to promote the wellbeing of its citizens, which may at times include but is not limited to prosperity. The first is what the American Revolution was about. Although the tea party had something to do with economics, many of our founding fathers sacrificed prosperity for the sake of freedom, and ended up impoverished. The second, “wellbeing,” a poorly defined term that goes beyond prosperity. It was the US Government that caused yellow fever and malaria to be controlled, and it is the government which supports research which lead to cures for disease, provide grants for higher education and scientific research which may some day benefit us in ways that go beyond prosperity. It outlaws child labor and regulates the production of pharmaceuticals to make sure they are safe and effective. For those whose rail against socialism, this is what it looks like, as does your Social Security and Medicare. To answer Daniel Joseph’s comment I would say that without a strong central authority (that is restrained by checks and balances) anarchy rules and we would be back to the days of robber barons and frontier justice. We would also be in a depression instead of now too slowly coming out of a recession. Our current debates and criticism of some of our European nations are not really about socialism but about how much we (or they) are willing to be taxed to support those forms of wellbeing that do not easily translate into economic prosperity or, what is a good balance between our economic requirements and our other needs. Richard while I cannot disagree with your assessment of the mandate by which our government exists this is a financial discussion so perhaps Rick should have said the government exist ‘in part’ to further the prosperity of its citizens not itself, I believe this is implied. As to your comments regarding well being such as malaria, I would love to discuss how the Goverment does or does not protect our well being or for that matter with what efficiency it does so but that is another forum. To your second statement about ‘socialist ‘ European countries, Rick is not making a political statement in the least. Our monetary system is much different than the Euro and really a comparison cannot be made in that regard. That said the fact that many are socialist in nature with such programs are the reason they are in financial ruin. Greece due to its entitlement programs are much like Illinois or California. They (European counties) are more like US states when it comes to their financial and monetary. Reading Ricks first blog on the monetary system or pragcap.com would help to clear up some incorrect assumptions as this is not merely theoretical but the actual mechanics of our system! …is of no consequence if other countries or even citizens lose faith in the value of the FRNs. As I write this China has made a move to convince several countries to leave a “dollar” denominated system of trade. Several countries have made the switch or have agreed to switch. Japan (an ally), Russia (not an ally from my view point) have already taken action. If the trend continues this “debt” based economy will not survive. History does not always have to repeat. When an event repeats many times in history it is a “theory”. When a theory repeats many, many times it is a principle. History has shown that monetary systems based upon “belief” money can and do fail. Could we not consider “Hyperinflation” a failure of paper money issued on a belief system. Post WWII Germany and even modern day Greece with gross levels of high unemployment is a failure of a controlled belief paper money system. I am an old man, a senior citizen. As a boy I purchased a movie ticket and candy for five cents at the Saturday double feature with cartoons . (OK- it was Flash Gordon) As a teen a gallon of gas for the ’49 Ford with the starter on the floor was only twenty-six cents. Today I take my wife to the movies with as senior citizen rate and pay over seven dollars which does not includes the gas for the Honda Accord. Since you deal with wealth I know you do not tell clients to keep FRN’s (money which is paper) for a child’s college expenses or maybe retirement. You probably instruct client to acquire some hard assets as a percentage of a portfolio. Assets such as real estate or maybe gold. Of course you do not place all your wealth in real estate and gold. Consider why you recommend real estate and gold. Gold does nothing as real estate. You can look at gold all day and it will not even move an inch. Gold has found its place as a “principle” within the world monetary system. In the basement of the New York Fed is the gold that countries exchange by moving ownership, not the gold, to settle various accounts. Trade accounts are settled in gold at times and some countries will accept only gold. I could go on and on. I will not bore you or the readers of this blog. The bottom line is the form and substance of money changes over time. On the isle of Yap boulders were used for money, FRNs were not in existence. In the Bible lead was used for money (the widow’s mite was used not for the markings on the coin but exchanged by weight for goods). We all know of beads and other items used to purchase the island of Manhattan (Again no FRNs). So the form and substance of money changes over time. But as a Nobel Prize Winning Economist said…”We are all dead in the long run”.